Bachelors of Business Administration commonly known as BBA is one of the most esteemed sought out careers for the students after 12th. BBA is a course which nurtures the calibers like management and leadership in the students. One can find innumerable colleges/universities offering BBA in India. The best part of BBA is that, a student belonging to any background, be it science, commerce or arts can freely take admission in top BBA colleges in India. BBA lets you explore the world of business and their terminologies and let you help to build the inner entrepreneur in you and if not then you can choose various sectors viz Finance, Marketing, Human Resource (HR) and many more. After completing BBA one can pursue MBA for better and greater opportunities. BBA helps you develop qualities like decisive or decision-making skills, leadership skills, time management, oral skills and written communication skills. 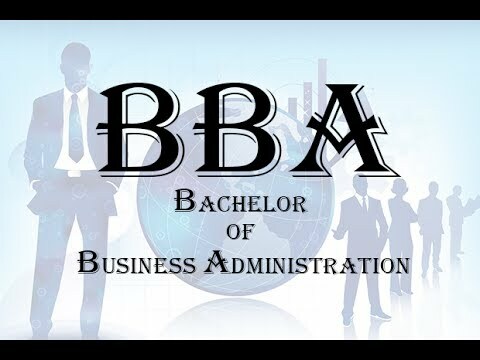 Those who are interested to make their career in the field of Business administration can take up the course of BBA freely. The students are supposed to either take an exam or go for direct admission based on their merit in order to take admission in the colleges offering BBA course in Hyderabad or any top BBA colleges in India. Being a 3-year course and that too available for students of any background, BBA gets much more popular than another course. Apart from BBA, another course which gathers the attention of the students in the field of commerce. There are many colleges which offer both commerce and BBA course in Hyderabad viz Amity Global Business School, ROOTS, St. Francis College for Women, Amjad Ali Khan College of Business Administration, Nizam College, GITAM Hyderabad Business School, Badruka College of Commerce and Arts (BCCA) and many more. Not only in Hyderabad there is an ample number of Commerce colleges in India which gives the students a better opportunity to lighten their future with the ray of study. The ocean of education is deeper than we expect. Being a BBA graduate not only empowers you with the managerial skills, problem-solving skills, communication skills, quick and precise decision-making skills, time management skills or leadership qualities but it also allows you to set up your own business and many other options are there to explore in the business world. A BBA graduate can earn up to 3-4 Lacs a year. One can earn more with every year of experience adding on to their career. Another advantage of pursuing BBA is that the door of MBA is wide open for you with all the open arms. Pursuing which can make you earn more and if you pursue MBA from the top colleges in India or abroad then my dear friend the sky will be your limit. One thing which can be noted down for sure is that business administration studies not only give you the in-depth knowledge but also makes sure that you earn the most as possible! So if you are interested and impressed with the wide range of opportunities waiting for you with open arms at the end then buckle up the seatbelt to learn the tricks of the business world and follow your dream!